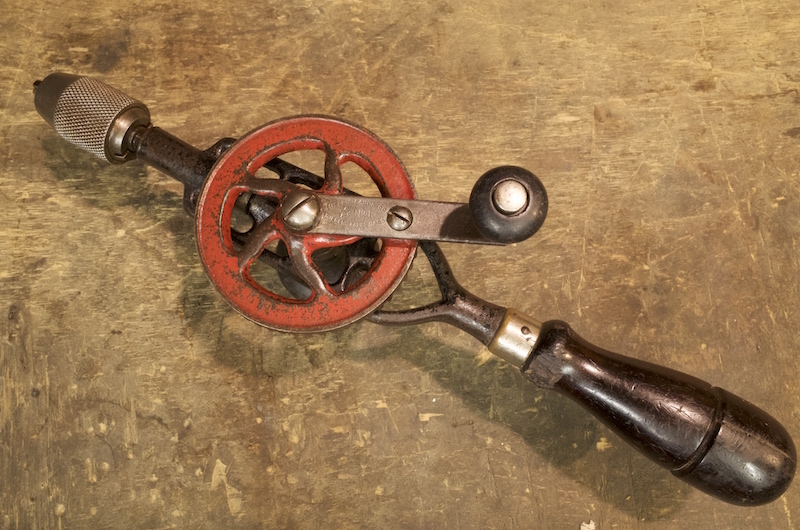 This small standard hand drill is suited to delicate tasks, with some variants specifically marketed towards electricians by Millers Falls Co. The No.1’s springless chuck is more limiting in the size of bit it will except than many compact hand drills, this is a clue that the tool is intended for drilling small holes. 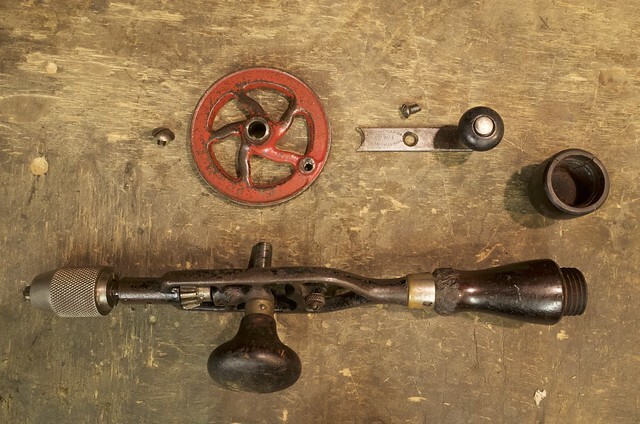 Indeed this drill very much suited to fine joinery and other delicate precision task due to its relatively light build and exceptionally smooth mechanism. It struggles with even the relatively small drill bits at the top end of its chuck’s range, this is because of its single pinion mechanism that is simply not suited to heavier loads… however the smoothness is nearly second to none under light load (small drill bits). 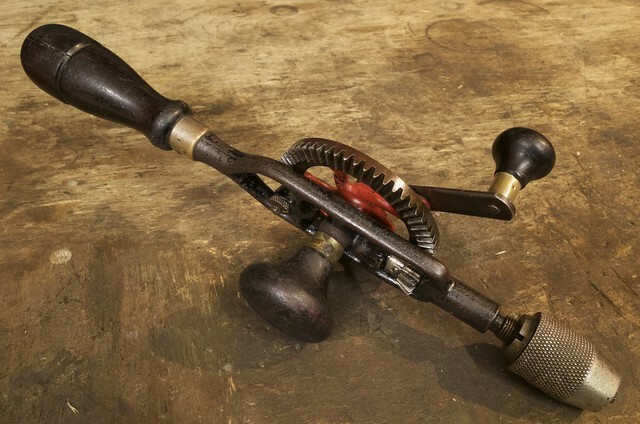 Something unusual about this drill is that it has an equaliser, this is rare in a drill this small and is partially the reason for its smoothness. 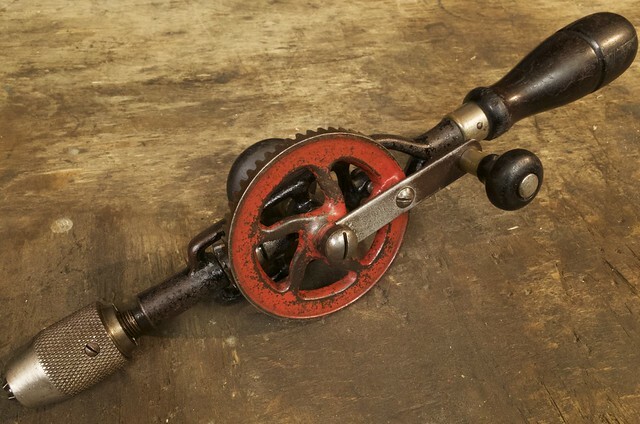 I equaliser takes the form of a screw with a rounded end that rides up against the underside of the crank wheel, it must be set up correctly to get the best out of the drill; too tight and the mechanism will rasp, too loose and the main crank wheel will be unsupported which can cause ware and poor performance at higher loads (getting it perfect does improve the performance a lot at the upper end of its hole diameter range). Notes: The side handle on this example does not want to come off, they are meant unscrew like most side handles (another examples handle does come off in this manner).